It might sound strange, but lately I’ve really started appreciating taking the bus. This wasn’t always the case, I used to detest it. Waiting forever in the cold, having to transfer ten times to make it to your destination and the lack of adequate bus shelters made taking the bus a huge headache. 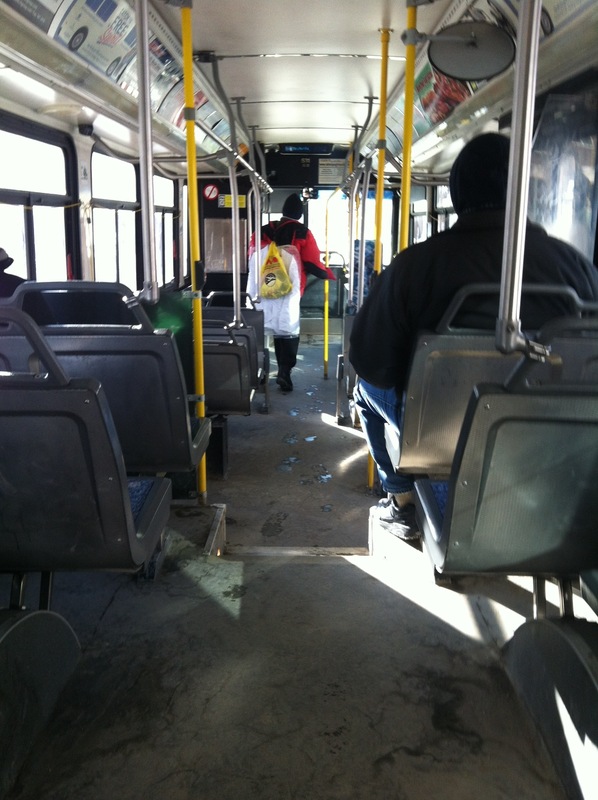 While these issues are still mainstays of Winnipeg transit, I’ve become lucky enough to bypass them. Last year I moved into a house 1 block from portage avenue, and as it turns out this is the only place to live where it makes sense to own a bus pass. I’m sure some people can disagree and say they get excellent bus service in their neighbourhood, but I challenge you to walk to your bus stop night or day and wait less than 5 minutes on average for a bus to show up. I’m so spoiled that I don’t bother to check when the next bus is coming before I leave the house, not a bad perk. Now that I can rely on public transit again, I can easily dismiss all the cranky bus driver and rude riders and I don’t complain nearly as much about the outrageous fares! Too bad I’m apartment hunting now and will likely lose my prime bus privileges, but for the time being I’ll just keep my rose coloured glasses.